Many ants are well protected from predators by toxic chemicals and alarm pheromones. Wolf spiders are visual predators that attack a variety of insects, but avoid ants. 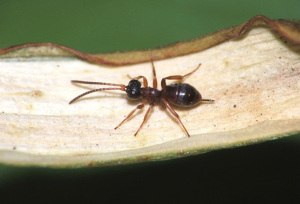 Other insects can also avoid attacks by spiders if they look and smell like ants.